In those states which have adopted some version of the Uniform Trade Secrets Act, a commonly litigated defense concerns statutory preemption. Most versions of the UTSA provide expressly that the statute preempts, or displaces, other common-law or statutory remedies for trade secrets misappropriation. For years, defendants have been filing motions to dismiss ancillary claims tossed into a trade secrets action, such as conversion, breach of fiduciary duty and deceptive trade practices violations. At one point in time, these defenses were successful as courts broadly applied the UTSA's preemption clause. Now, courts are taking an opposite approach. A case out of Virginia highlights a couple of issues related to the preemption defense. In E.I. DuPont de Nemours v. Kolon Industries, the plaintiff filed a six-count complaint charging that the defendant engaged in a pattern of conduct designed to misappropriate DuPont's technical process for manufacturing high-strength fiber used in ballistics and protective apparel. The defendant denied that the information at issue constituted a trade secret under Virginia's version of the UTSA. The court denied the defendant's motion to dismiss the ancillary claims for the simple reason that the preemption provision could not apply if the defendant contended that the purloined information was ever a trade secret to begin with. For all intents and purposes, a denial in an answer will effectively negate a motion to dismiss those other claims. On the substance of each claim, the court still found preemption inappropriate. Without belaboring the point, for preemption to apply in a minority-view state like Virginia, the claim needs to be founded entirely on an allegation that the wrongful conduct involves trade secrets misappropriation. Merely arguing that the conduct arises out of the same core of operative facts won't cut it. So, if for instance an employer alleges that an employee stole a chemical formula critical to the employer's business which constituted a trade secret, and also alleges the employee misappropriated lesser protected confidential information (say, financial information), a claim for breach of fiduciary duty relating to the latter would not be preempted. 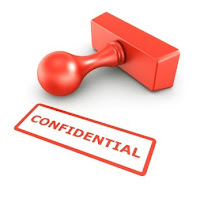 The reason: the employer need not prove that the confidential information was a trade secret in order to prevail. Keep in mind the law is split on this, and the majority of courts take a broader view of preemption. Admittedly the difference is slight. However, the key principle is that in minority-view states, preemption only applies when the wrongful conduct depends on trade secret misappropriation. Cite: E.I. DuPont de Nemours & Co. v. Kolon Industries, Inc.